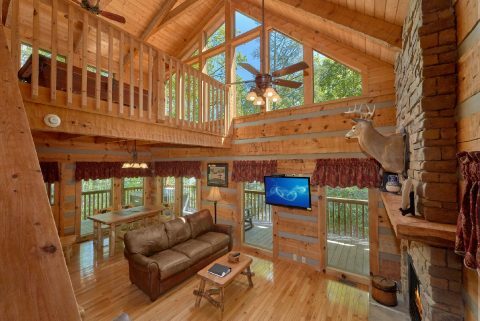 "Kicked Back Creekside" is an excellent 1 bedroom cabin rental in Sevierville with a great location by a Smoky Mountain creek! 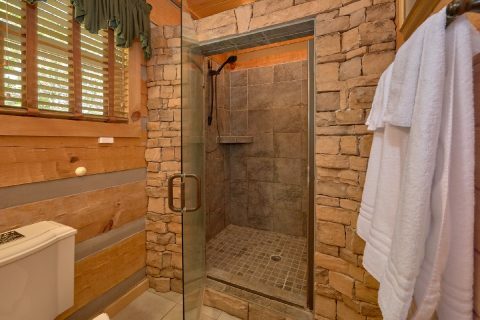 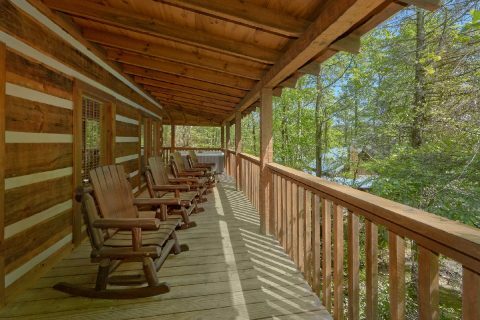 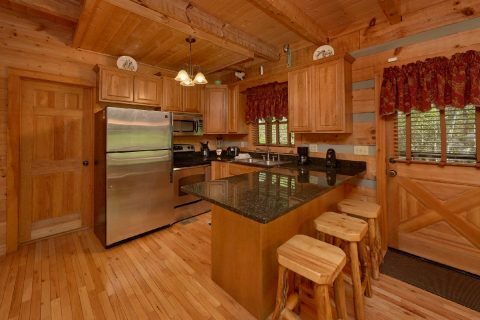 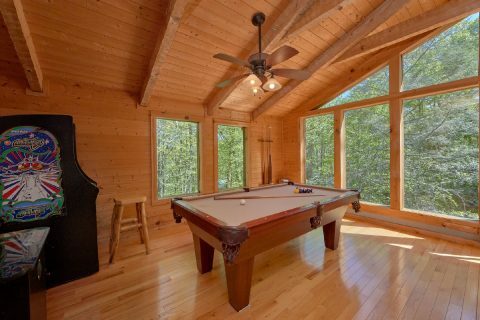 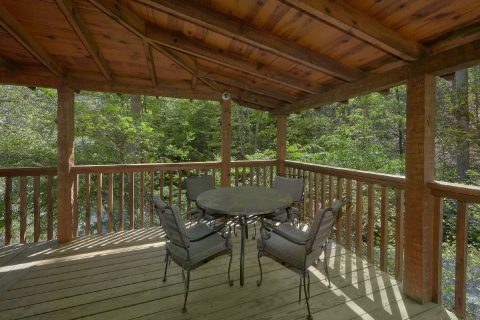 When you aren't busy exploring fun, nearby attractions in Pigeon Forge and Gatlinburg, you'll love unwinding at this peaceful cabin with a nice location by the water. 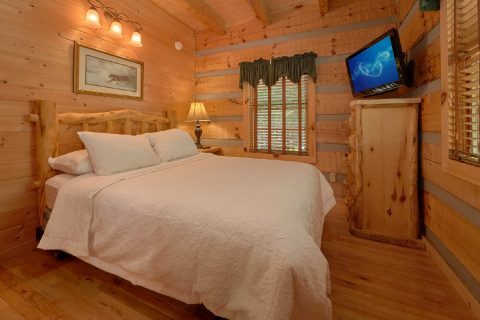 Step inside this lovely 1 bedroom cabin that sleeps 4 guests and you'll find a living room that's ideal for enjoying quality time with the people who matter most. 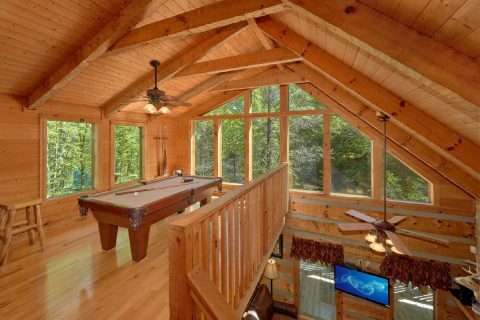 The main living area features comfortable furnishings, a television, and even a two-sided gas fireplace. 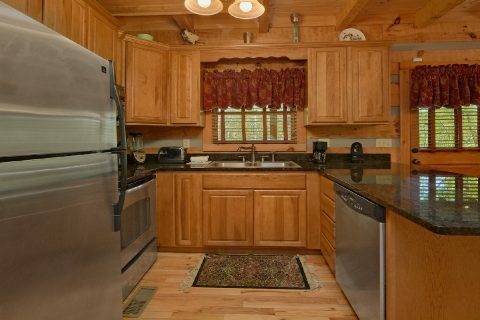 The main floor is also home to a full kitchen, a dining area, and a full bathroom with a stand-up tiled shower. 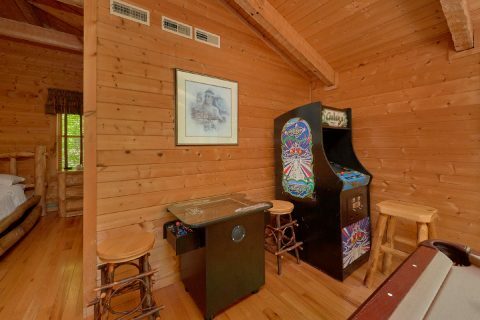 For some fun and entertainment during your stay, head upstairs to the upper-level game room that features a pool table and an arcade game. 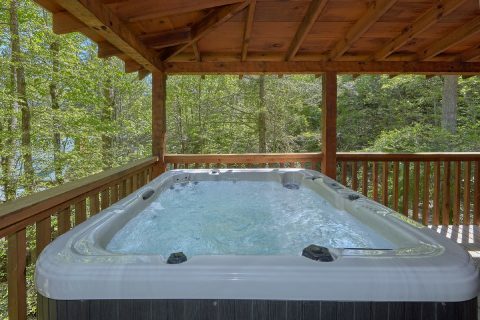 Outside on your cabin's deck, you can relax in the warm waters of the hot tub or sit by the gas fireplace while you listen to the sounds of the nearby creek. 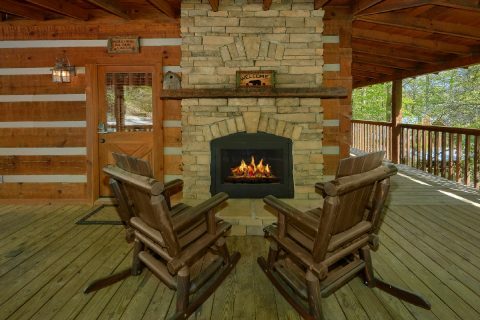 Your cabin also provides an outdoor fire pit you can use during your stay. 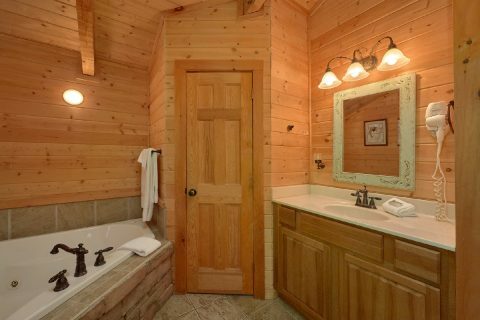 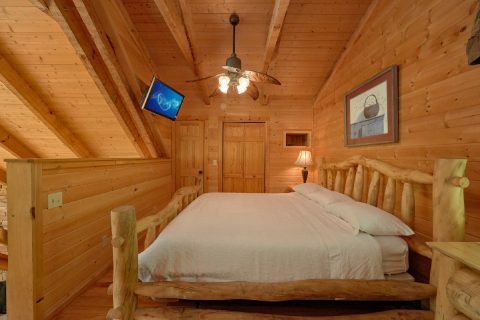 With a queen-size bedroom on the main level and a king-size bedroom in the loft with a jacuzzi tub this cabin can easily sleep up to 4 guests in comfort. 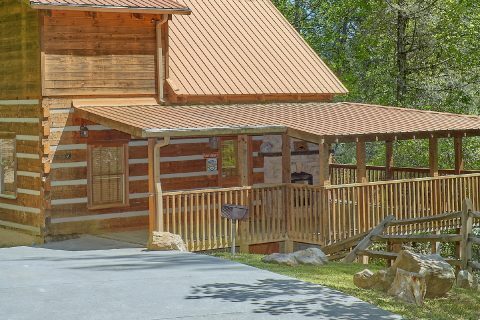 If you need more space for your group, we also offer two nearby cabin's called "Turtle Dovin" and "Cuddle Creek Cabin" that can be booked alongside this rental. 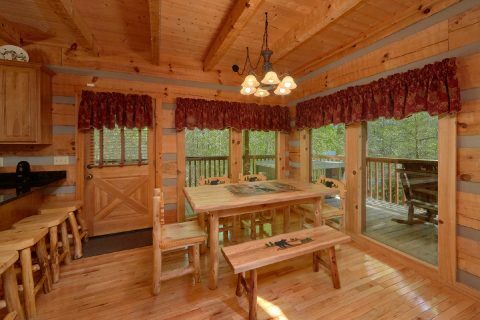 Simply contact our reservations office if you're interested in booking more than one cabin! 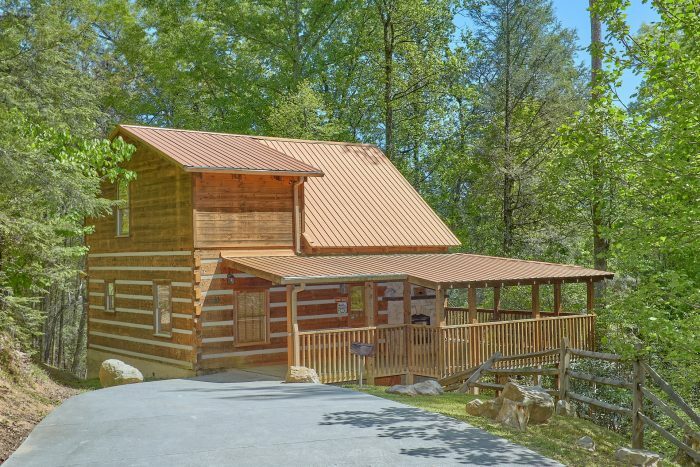 Better yet, this cabin also boasts useful amenities like WiFi Internet, a charcoal grill, and a washer/dryer for you to use during your stay. 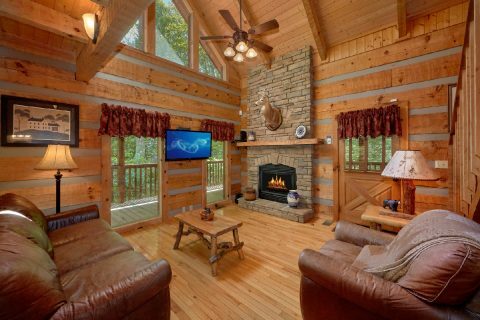 Book "Kicked Back Creekside" today with Cabins USA Gatlinburg and you can save 15% on your stay with our special cabin discount!